Masar put in a power-packed display to win the Group Three Solario Stakes at Sandown on Saturday. Taken to the front inside the two-furlong pole, he galloped relentlessly to the line, pulling a couple of lengths clear of the useful Irish raider Romanised. Now as short as 16/1 for next season’s 2000 Guineas, he’s by New Approach out of a Cape Cross mare, and looks a colt that will be suited by at least a mile though likely further. Prior to this success, the Godolphin juvenile had chased home classy fillies September and Nyaleti in a strong looking Chesham Stakes at Royal Ascot. Charlie Appleby was clearly impressed, saying after the win: “I'm delighted. James gave him a lovely ride. He got the run we were hoping for. We thought they (Connect and De Bruyne Horse) were the two pace angles in front of us and he got a dream run. I was confident going into the final furlong he was going to carry on galloping and he galloped out nicely. It was a pleasing performance and I hope he's a horse with a bright future. Of the remainder, John Gosden’s Purser looked a little unfortunate back in fourth. Denied a clear run throughout, Frankie Dettori had to sit and take his punishment, and when a gap finally appeared the winner had long-since flown. Owned by Khalid Abdullah, and by American stallion Mizzen Mast, he’s an interesting sort and certainly worth keeping an eye on when next on the track. Later at Sandown, we saw another impressive performance in a Group Three, when Aljazzi romped to victory in the fillies and mares Atalanta Stakes. Marco Botti’s four-year-old is quite a unit, and she proved her Duke Of Cambridge Stakes runner-up finish to Qemah was no fluke with this authoritative display. From relative youngsters impressing as Sandown, to a senior citizen turning back the clock at Beverley. With career earnings of more than half-a-million quid, Take Cover at the grand old age of 10 remains a high-class sprinter, and he proved a worthy favourite when making all to take ‘The Bullet’. Fifth in the King’s Stand in June, the better the ground the quicker he goes, and so it proved, as the rest were unable to land a blow in Beverley’s most prestigious event. The David Griffiths trained stable star defeated Paul Midgley’s Final Venture, as he had done at York in July, when the pair were again first and second in a listed race. Rain on Friday night had caused concern, but the official going remained good to firm on raceday, and jockey Tom Queally paced things perfectly from the front. The pack loomed large a furlong from home, but Take Cover found plenty, and bravely saw off all-comers. “I’m absolutely chuffed to bits,” said an understandably proud trainer. The Betfred Hungerford Stakes on Saturday, is the highlight of the two-day Newbury meeting. Several late omissions have left us with just seven starters for this Group 2 event. It’s a race that has favoured three-year-olds in recent times, with five wins from the last eight renewals. However, that trend is a non-starter this time around, with a field of four, five and six-year-olds taking to the start on Saturday. Clive Cox has trained two of the last seven winners, but he won’t be winning this one. The likes of Zonderland and Kodi Bear would not have been out of place in the line-up, with the former having impressed in winning a Group 3 at Salisbury last night. John Gosden is the most successful trainer in the event’s history, with five wins. He does have an entrant, though Richard Pankhurst is the outsider of the field. Owned by Godolphin, the four-year-old has yet to sparkle this season, though his run in the Summer Mile at Royal Ascot, when finishing ahead of Convey, would certainly give hope for optimism. By Raven’s Pass, he needs quick ground to be seen at his best, and this seven-furlong trip could prove ideal. Godolphin also own the favourite for the Hungerford, in the Hugo Palmer trained Home Of The Brave. No match for Dutch Connection in the Lennox Stakes at Goodwood last month, he had previously defeated Convey in a close run Group 3 at Haydock. There was little between them that day, and you’d expect that to be the case tomorrow. Jim Crowley takes the ride in the absence of the suspended James Doyle. Convey is trained by Sir Michael Stoute, and carries the famous Khalid Abdullah silks. He was well beaten at Royal Ascot in his previous attempt at Group 2 level, but comes here fresh from a confidence boosting win in a listed race at Pontefract. This isn’t the strongest renewal, and he has to be a major player, though his ‘skinny’ odds reflect that. Marco Botti took the race with the outstanding Excelebration in 2011, and teams up with Frankie Dettori tomorrow. His hopes lie with handicapper Golden Steps, who took the Bunbury Cup in July. This is quite a step up in class, though as previously mentioned, the field lacks depth. Botti believes the trip will be ideal, but I can’t believe he’ll be good enough. Jallota has a similar profile, though does have a second place finish in a Group 3 at Deauville to his name. He was behind Jimmy Two Times on that occasion, and that form was franked when Fabre’s fella ran a cracker in the Prix Maurice de Gheest. I’m not sure Jallota is quite good enough to win this, but Charlie Hills’ five-year-old could go close. Owen Burrows will be hoping that Markaz can perform well, after the desperate run from Massaat at Salisbury. He’s a consistent type though highly tried at this level, and he’ll probably find one or two a little too good for him. He’s twice finished behind Home Of The Brave already this term. Palmer’s colt looks the most likely winner, though I can’t have him at 6/4. I’ll be taking a punt on Godolphin’s second string, and hoping that Richard Pankhurst will find the track, trip and ground to his liking, thereby adding to John Gosden’s terrific record in the race. I also expect Jallota to go close. Still reeling from the news of Postponed missing the King George VI, it’s fair to say that the field of seven that remain lack a true ‘A-lister’, giving the race a competitive look, rather than that of a potential classic. It’s surprising that the omission of one horse can cause such a mood change, but the event is now pretty much a repeat of the Group 2 Hardwicke Stakes, with a decent French raider thrown in for good measure. My money will be on Erupt, who appears at least, to have the potential of becoming a serious Group 1 performer. His Arc fifth place finish is undoubtedly the strongest form. I expect Highland Reel to get the better of Dartmouth in the race for second spot, though both are surely a fair bit shy of top-class. The King George VI and Queen Elizabeth Stakes remains the feature race on Saturday’s card. Nevertheless, it’s the Gigaset International Stakes that is sure to attract the most attention from a betting prospective. 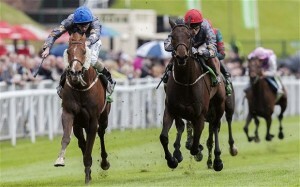 This latest event in the Heritage Handicap series is worth over £93,000 to the winner, and has attracted a field of 26. Ultra-competitive as ever, several ‘old favourites’ take up the challenge, including last year’s winner and runner-up; Heaven’s Guest and Balty Boys. This year’s renewal is set to be run on very different ground from 12 months ago, and is currently described as good to firm. Heaven’s Guest appears to operate just as well on a quicker surface, as shown when a close second on fast ground in Newmarket’s Bunbury Cup a few weeks back. A stiff seven furlongs certainly suits Richard Fahey’s fella, and though he only just held on for victory last year, he had been in front plenty long enough on that occasion. Adam McNamara takes a valuable 5lb off, and has been aboard on three of the last five starts. Balty Boys was cutting him down fast 12 months ago, though may find things happening a little quick for him this time around. He’s proven over further, and although he’s handicapped to reverse form with Heaven’s Guest, I’d be surprised if that actually happens. He’s a classy sort, and I expect him to be charging home late on, probably a little too late. Having covered last year’s front two, the stats suggest that the winner is more likely to be a younger horse, with four and five-year-olds dominant in recent years. Indeed, four-year-olds have won seven of the last ten renewals. Experience of both large handicaps and of running at Ascot, have also proved a positive for those looking to win this race. The last 10 winners had all run at the track. It should come as no surprise in such a competitive race, with so many contenders, to see that favourites have a very poor record. A third place finish is the best that the last ten favourites could manage, with last year’s favourite not even making it out of the stalls. In fairness, Speculative Bid did eventually exit the stalls, though minus a jockey. This year’s curse looks set to hang over Suzi’s Connoisseur, who currently heads the market at 7/1. The five-year-old gelding is trained by Stuart Williams for Qatar Racing, and was fifth in the race 12 months ago. He’s not short of speed, but has been known to wander somewhat under pressure late in his races. I fancy he’ll do well to see out this trip, in this company. It would be no surprise to see him go close, only to be chinned late on by stronger stayers. I was on Flash Fire when he won the Victoria Cup at Ascot in May. Godolphin’s four-year-old then ran a stinker in the Wokingham, on ground too soft and over a trip too short. He bounced back to some kind of form when fifth in the Bunbury Cup at Newmarket. He tops the weights, and that’s a tough ask in a race of this nature. Though a course and distance winner, I’d be surprised if he can win tomorrow. Marco Botti’s Fanciful Angel is a classy sort, and is the mount of Frankie Dettori. The four-year-old spent the winter in Meydan, and performed well. He was a decent three-year-old, finishing second in the German 2000 Guineas (Frankie rode him on that occasion). He ran no sort of race at Epsom last time, when far too keen in a Group 3. He also has plenty of weight on his back, and that has to be a worry, as would be the lack of experience in large field handicaps. Bossy Guest is another that certainly has the ability to go well, but whether he has the aptitude is a totally different matter. He all but dropped himself out last time at Newmarket, before rallying late on. His handicap peaked at 114 and is now down to 104. He ran pretty well in the Royal Hunt Cup two starts back, and is reunited with Silvestre De Sousa. You couldn’t be confident that he’ll run well, yet wouldn’t be surprised if he did. Mutawathea has run two huge races in valuable handicaps already this season. He was a close second to Flash Fire at Ascot in the Victoria Cup, and ran a belter to finish third in the Bunbury Cup. Simon Crisford hands the mount to 7lb claimer George Wood. This is a tough gig for such an inexperienced young jockey, though he looked a stylish rider on Buckstay in the Bunbury Cup. Tactics will be interesting, as the horse was probably ridden a little too positively last time. He has to be on the short-list, on what he’s done so far during this campaign. Challenging for favouritism is the four-year-old Royal Hunt Cup runner-up Librisa Breeze. He travelled powerfully that day, and looked the winner a furlong out. That came at a mile, on soft ground, and he’s yet to run over a shorter trip in eight career starts. His trainer, Dean Ivory, did say in the week that the gelding would miss the race should the ground stay on the firm side. Niall Moran trains Dont Bother Me in Ireland, and he was last seen running well in a Group 3 at Leopardstown. Ahead of Gordon Lord Byron that day in a six runner affair, this is clearly very different, nevertheless, he is more than familiar with this event having finished second in the 2014 renewal when handled by Marco Botti. He’s back on the same handicap mark, and although vulnerable to more progressive types, his odds of 20/1 appear more than reasonable. As hard as I’ve tried to find a four-year-old to uphold recent trends, I’ve come-up short. It’s a five-year-old for me that has outstanding claims, along with two experienced six-year-olds. Mutawathea has been knocking on the door this summer, and I fancy he’ll land the big prize on this occasion. Heaven’s Guest and Don’t Bother Me look sure to run well. I’ll take the latter to be finish powerfully for place money at 20/1. Ilzam at 7/1 E/W BOG. Secondly, in the months of April to August inclusive, 3 to 5 yr olds travelling 5f to 1m2f on any ground bar heavy 16 to 60 days after a 2nd, 3rd or place finish LTO are 311/1699 (18.3% SR) for 304.9pts (+17.9% ROI) since the start of 2012, provided they actually won two starts ago. And finally, the breeding. Ilzam is by Holy Roman Emperor whose offspring are a respectable 235/2264 (10.4% SR) for 181.4pts (+8% ROI) since the start of 2013, with those racing in handicaps over trips of 6 to 11.5 furlongs winning 131 of 1164 (11.3% SR) for 302.5pts (+26% ROI), whilst those handicappers aged 2 to 4 are 96/876 (11% SR) for 170.8pts (+19.5% ROI). 3.40 Fakenham : Road To Freedom @ 100/30 BOG : 2nd at 5/2 fav (Held up towards rear, hampered 1st, headway 11th, ridden and pressed winner from 2 out, every chance until just held near finish) and was Lucy Wadham's only loser from three Fakenham runners, hopefully some of you took the hint and backed the others? Well, unless I've really read this race wrongly (too many r's! ), this is a massive price and as part of my remit is to provide value, this fits the bill on that score. But there is also some statistical data to back up my opinion. Firstly, I want to look at trainer Marco Botti and his record here on this A/W track and we find that since the start of 2010, his runners here priced in the 9/2 to 16/1 odds range have won 15 of 122 races (12.3% SR) for profits of 63.8pts at an ROI of 52.3%. Of those 122 runners, those competing at trips of 6f to a mile are 12/86 (14% SR) for 79.1pts (+92% ROI), whilst his handicappers are 8/60 (13.3% SR) for 29.4pts (+49% ROI). Also, we should consider the performance the performance of Signor Botti's handicappers who were winners last time out and are now returning to the scene of a previous course and distance win, as since the start of 2011, these runners are 12 from 36 (33.33% SR) for 8.75pts (+24.3% ROI) with a total of 25 of the 36 (69.4% SR) making the frame for similar profits of 8.72pts (+24.2% ROI), making these runners ideal for an E/W bet. Jockey Oisin Murphy is in great form of late, riding four winners yesterday and he's 11 from 45 (24.4% SR) for 33.3pts (+74.1% ROI) here at Lingfield this year with a record of 7 wins from 22 rides (31.8% SR) on male horses that has produced profits of 22.3pts (+101.4% ROI). He has already won 7 of his 20 starts on the A/W to date and is 7/19 at 7f to a mile, he's 7/18 on Polytrack, 5 from 15 at Class 2 and 4 from 11 here at Lingfield. One Lingfield race was on turf, so he's actually 4/10 on the polytrack here. He has won three of the nine races of 12 or more runners and is as you probably deduced earlier, a former course and distance winner. And in Class 2 races on the Lingfield A/W track over trips of 7f/1m, Grey Mirage is 3 from 8 (37.5% SR) for 6.44pts (+80.5% ROI). 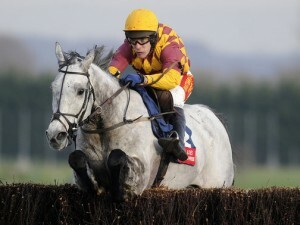 A 0.5pt E/W bet on Grey Mirage at 12/1 BOG with either Coral, Boylesports and/or Seanie Mac. As the curtain falls on another Flat racing season, the Qipco British Champions Day provides a final opportunity for the ‘just failed to get up’ brigades, who have come agonisingly close throughout the campaign to bagging that major prize. One such horse, who has hit the post more than most during the summer, is the Marco Botti trained Suegioo. Not the biggest, and with his fair share of quirks, Botti describes his charge as “a superstar and character in his own right”. He’s an ultra-consistent stayer owned by Dr Marwan Koukash, and carries those familiar grey silks that are regularly seen flashing home in staying events around Britain. Angel Gabrial, Gabrial’s King and Gabrial’s Star are also part of the Koukash long distance crew. Suegioo has progressed throughout the campaign, performing at a consistently high level. His only poor run came back in May when trying to defend a Chester Cup he’d won in 2014. Never in the race this time round, he trailed home well down the field. He was quickly back on track when a strong finishing fourth at Haydock a couple of weeks later. Once again held up well off the pace, he took a fair while to get going, before staying on powerfully at the death. At the end of June, Koukash sent a battalion to Newcastle in the hope of lifting the Northumberland Plate. Angel Gabrial came out best with a fourth place finish; however, it was again Suegioo that caught the eye, flashing home on the wide outside to take fifth. He’d struggled to ‘lay-up’ on this occasion, and again had needed most of the straight to get into top gear. His next run in the listed Esher Stakes at Sandown again proved frustrating. He appeared to travel far better in a smaller field, but found a few speedier types in the latter stages, and in a bunch finish could only claim fourth. The Ebor at York was without doubt his best performance of the season to date. Tried this time with blinkers rather than cheek-pieces, he was again held-up well off the pace, this time by jockey Martin Harley. He had to switch wide to make his run, and in a storming finish came within a couple of lengths of hunting down the impressive Litigant. He was giving the winner 5lbs, and had the St Leger third, Fields Of Athenry, a further five lengths back. His most recent effort was another cracking performance behind Pallasator in the Doncaster Cup. There’s just a chance that the trip stretched him on that occasion, as he appeared to fade in the last 100 yards. Nevertheless, it was another terrific effort from a horse on the cusp of a huge win. Saturday’s trip in the Long Distance Cup looks ideal, and the Ascot ground running at good to soft should also prove perfect for a horse that probably lacks that killer kick. On paper this Group 2 looks to be a huge step up in class, but with Pallasator generally a 5/1 joint favourite, the 16’s available on Suegioo appear more than generous. One victory in 25 turf starts is hardly the form of a potential Group winner, yet he’s finished second or third on 13 occasions. That’s a record to be proud of. Martin Harley has the task of having him in a position to challenge turning for home. If he can get the very best out of the horse, and that’s not always easy, there’s just a chance that this thoroughly consistent stayer could finally get his head in front where it matters. Despite fluffing the start and being slow away, before running around a bit and wandering on the home straight, Always Smile showed a good turn of foot to win by almost two lengths at Wolverhampton at 11/4. There has been some discussion about Betbright's pricing policy and whilst I got 16/5 BOG from them, some of you couldn't get it, some got more and some took 10/3 elsewhere. In light of this, whilst I'm happy enough to claim 16/5 for my records, I won't be quoting Betbright alone in future. A 6f Class 4 contest and a 3/1 BOG bet on Marco Botti's handicap debutante, the 3 yr old filly Luna Mission, who was a winner here over course and distance last time out. Since the start of 2010, Marco's 3yr old handicap debutants are 27/153 (17.7% SR) for 23pts profit at an ROI of 15%. (8/27 here at Wolverhampton!). Those priced at 7/4 to 6/1 are 18/66 (27.3% SR) for 23.3pts (+35.3% ROI). Marco Botti handicap debutants competing over 6 to 8 furlongs at odds of 6/4 to 8/1 are 17/45 (37.8% SR) for 41.8pts (+92.9% ROI) with a record here at Wolverhampton of 6 winners from 12 (50% SR) for 10.53pts (+87.75% ROI). Luna Mission has had three runs to date, finishing third in each of her first two starts, both 6f maidens and beaten by 5L on debut at Kempton, before a 1L defeat at Yarmouth. She then ran here on the tapeta for the first time and was quite comfortable in winning by a length and a half over today's track and trip. The form from that maiden has been franked by five of her rivals from that race going on to win since and provided there's no ill-effects from a 202 day absence, Luna Mission could well go in again, especially when you consider that since 2011, Marco Botti's handicappers with CD next to their name on the racecard, who were winners last time out, have gone on to double up on 12 of 33 occasions (36.04% SR) for 11.75pts (+35.6% ROI) profit. Here at Wolverhampton, at odds shorter than 7/2, the record is 7/10 (70% SR) for 8.55pts (+85.5% ROI) profit. Impressive stuff. We are now just days away from the start of the Turf Flat season; though not officially of course; with the curtain-raiser being the 'Lincoln meeting' at Doncaster on Saturday. Traditionally the first big handicap of the season, the Lincoln was established in 1853, and it will come as no surprise to learn that it was run at Lincoln Racecourse. When that venue sadly closed, the race was transferred to its new home at Doncaster and has remained there since 1965. The event takes place over a straight mile. This weekend’s renewal will be as competitive as ever and it’s certain to be a task and a half to find the winner. Over the last day or two a huge gamble has taken place on the Ed Dunlop trained Zarwaan. It looks as if his four-year-old will take up his entry rather than waiting for the Irish version at the Curragh on Sunday. Owned by Sheikh Hamdan Al Maktoum, Zarwaan has halved in price to his current odds of 8-1. Dunlop said: “He was confirmed for the Lincoln and he remains in the Irish equivalent. We entered him in a seven-furlong conditions race at Kempton on Saturday, but the plan at the moment is to go to Doncaster." He was fourth in a listed race at Newmarket in his final appearance as a three-year-old last July off a rating of 102. Marco Botti spoke to At The Races about the hopes for his Lincoln entry Moohaarib. He appeared confident of a decent run saying: “You need a horse rated around 100 to have a chance in the race.” Having wintered well and working great at home, Botti was hoping for rain at the Yorkshire track with the Oasis Dream colt at his best with some cut in the ground. He was third to race favourite Mange All at Ascot last July when giving away half a stone. The William Haggas trained favourite has also been popular with the punters. By Zamindar out of a Montjeu mare, a win for Mange All would give Haggas a record-equalling fourth victory in the race he last won with 3-1 favourite Penitent in 2010. Gm Hopkins sits alongside him at the head of the market, and the two met in the Silver Cambridgeshire last September. Gosden’s gelding won rather cosily on that occasion after travelling powerfully through the race. However he was slightly disappointing in his final race of last season when behind Moohaarib at Nottingham. 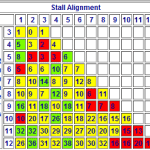 A maximum field of 22 will line up for the famous season opening puzzler. Those missing the cut will take their chance in the Betway Spring Mile. It’s sure to be a cracking card with huge prize money on offer to winning connections of the prestigious handicap. No joy on Saturday for ourselves and Team Moore on a poor day for the yard at Lingfield on Saturday. Tothemoonandback was travelling well enough and in contention until the 12th of 18 fences of the 3 mile trip. He made a mess of that one, lost some impetus/momentum and quite a bit of ground. Joshua cajoled and harried him back into the main pack, but that effort eventually took it toll and he soon dropped back through the pack. He was eventually the last horse home at 8/1, faring only better than one Pulled-up runner. The Joshua/Gary Moore combo will win plenty more races, as will the horse, but Saturday wasn't their day. And a 7/2 BOG bet on Marco Botti's 3yo Front Run, who tackles 1m6f for the first time in this 3yo+ handicap. Marco's horses go really well on the All-Weather, notching up 229 wins from 1349 races since 2008. this impressive 17% strike rate has to date yielded 174pts profit at an ROI of 12.9%, which is a fantastic return from blind backing. Here at Wolverhampton, his record is 104/489 (21.3% SR) for 158.3pts (+32.4% ROI), which isn't far short of phenomenal. He also has a good record in these 3yo+ handicap contests with 60 winners from his 311 runners (19.3% SR) in the last six years. These winners have produced 61.4pts profits (+19.8% ROI) from 1pt level stakes bets at Betfair SP (the nearest approximation we have to BOG odds). His 3 yr olds in these open age handicaps are 44/210 (21% SR) for 67.6pts (+32.2% ROI), clearly taking advantage of the weight for age allowances given to them. If we applied a simple 9/2 odds cap on those 3yr olds, we are then left with a record reading 35 winners from just 93 races (37.6% SR) and excellent profits returned of 36.5pts at an ROI of 39.3% with slightly better figures achieved here at Wolverhampton with 17 wins from 45 (37.8% SR) for 17.9pts (+39.8% ROI) profit. 3 yr old runners who were unplaced last time out and then stepped up by 2f or more for a Wolverhampton handicap have won 32 of 404 races in the last four years and whilst that 7.9% strike rate isn't earth shattering, the profits of 81pts (+20% ROI) are decent and good enough as a tertiary stat. Of those 404 runners, the record with those running at odds of 2/1 to 10/1 shows 22 winners from 154 runners, a more palatable 14.3% strike rate with the 30.8pts profit also equating to 20% of stakes, allaying any fears that the stat was skewed by a couple of big winners. Last time out was also Front Run's handicap debut, his first run for Marco Botti, his first run at Wolverhampton and in fact his first UK outing after three maidens in Ireland. He's clearly the east exposed runner here and would be more than entitled for having got all those "firsts" out of the way last time out. It was always going to be a big weekend with the football returning. No, I won’t be kicking off here with that unexpected home defeat which will have gutted my man Steve. Yes, I’m afraid Thurrock’s 1-0 reverse in the Isthmian League North ends their 100 per cent start. No, I’m going to tell a tale which illustrates just as starkly how one man’s delight in sport can often be another’s poison, in this case almost literally. Sam Sangster, principally through his video company Sirecam, but also his ownership syndicates under the umbrella name Decadent Racing, is already living up to the family tradition while still only in his mid-20’s. Based at the family’s (for now at any rate) Manton Estate, Sam is exhibiting strong signs of following in dad Robert’s footsteps, even to the extent of exploring new markets for unearthing equine talent. For the old man it was Kentucky and the products of Northern Dancer that tickled his, Vincent O’Brien and John Magnier’s fancy in the 1980’s. Sam stayed nearer home for his voyage into the semi-unknown, coupling his contract to video yearlings offered at the 2012 Baden-Baden auction with a bargain buy, prompted by emerging trainer Hugo Palmer, whose Newmarket yard Sam’s company has sponsored since it opened a couple of years back. So the horse came into the ring and Sam duly got stuck into bidding, which was admittedly sticky. “At 16k,” Sam recalls, “there was a pause and then he was knocked down to me”. “As I was about to sign for him, a little Russian guy – I think he was Russian – came running up and said: “It’s my horse, I bought him!” to which the sales official said: “No, this man, Mr Sangster” to which the Russian dissolved into what could only be described as life-fearing panic”. It seems the actual owner was possibly an oligarch or something more sinister, and the gentleman – presumably not the well-known Ronald Rauscher, the agent named in the catalogue as the consignor – was clearly terrified at the thought of having to explain the loss of nine grand in cold blood, not to mention the horse and the year’s costs since his acquisition in the same ring a year earlier. Applications by Sam – a sensitive soul – to name the horse Mafia Boss were rejected by the BHA, but they allowed Knife Point (GER) and it was under that monicker that the now gelding, trained by Hugo, won at Catterick on Friday, making it five winners from the seven horses Sam has run this year under his Decadent Racing partnerships. Knife Point was quite an interesting name, and maybe more than somewhat as Damon Runyon might say, as in actual fact the original foal price was not €25k but €30k! Wonder if the little guy still has his breeding tackle? Sam just sent me through this year’s catalogue for the auction, which takes place at the beginning of next month, and if the action on yesterday’s first part of Deauville’s August sale is anything to go by, yearlings will be harder than ever to acquire. Two years ago, my boss Ray Tooth bought a couple from the October Arqana sale. One, a filly called Laughing Water won on her second start for Nicolas Clement, while the other has turned up as a handsome three-year-old called Adrakhan in Dan Skelton’s showplace yard close to Stratford-on-Avon. As with Sam, Dan is showing that it’s a young man’s game, and having not known him at all before yesterday, I’m now finding it easy to believe he’ll go right to the top. The genes were pretty favourable. As a son of Nick Skelton, just about Britain’s most famed show jumper of all time and a Gold medal hero from the London 2012 Olympics, he had a decent enough start. His schooling for the job, apart from all those years with horses around him, was polished in his role as Paul Nicholls’ assistant and as he went through all the qualities of the horses in his now second-season yard at Saturday’s open day, he showed a combination of easy self-deprecation and copious knowledge of the 40 or so we saw, a good few paraded by brother Harry, the stable jockey. Dan’s young wife Grace also plays a big part on the organisational side with dad no doubt seeing to the financials. Certainly a nice few bob has gone into the operation, but the fact that he was able to bring out so many owners on a Saturday afternoon – it meant they (and I) missed the Arsenal - Palace game – was a surprise, it seemed, even to him. Having watched him working the crowd and handling the microphone, I’m far from surprised. It was nice that he was so complimentary about Adrakhan, Ray’s Martaline gelding. As Dan says, “We had quite a few Martalines at Paul’s and I always liked them”. I do too, with such as Dynaste to point to as examples of his ability to pass on the genes, which in Adrakhan’s case extend to five winning siblings, four over jumps. The Skeltons have the main ingredient that characterises many of the top dynasties in racing. Early on I mentioned the Sangsters, and you could easily extend that to Aidan O’Brien’s family with four young children (two sons, two daughters) all now riding regularly on the tracks of Ireland, or the Moores. Former and probably imminent champion Ryan was in Chicago last night, riding a double which included Adelaide for Aidan in the Secretariat Stakes and Euro Charline for Marco Botti (he, of the Italian training dynasty) in the lavishly-endowed Beverley D Stakes. Joseph, too big for the 8st7lb Ryan managed on Adelaide, was comfortable enough on Magician in the Arlington Million, but the boys had to give best to 10-1 shot Hardest Cove. Third here was globe-trotter Side Glance, Andrew Balding’s veteran whose path to a £60k payoff was eased by the absence of his regular sparring partner Mull of Killough who had finished well ahead of him at Ascot on their previous encounter. As I said, being on my way to deepest Warwickshire limited my grasp of world events, at the Oval, Newbury, Newmarket and on the football fields of England. I was just about able to glean that Joe Root is on the way to another century in England’s latest romp against India, while one of the two big boys who played on opening day won and another lost, unexpectedly. No doubt Man U made a winning start for the Dutch guy with the strange face/neck, while that grumpy Frenchman will have had another disappointing opening afternoon. When I wake up properly, I’ll check it out. As suggested yesterday, Cool Baranca was indeed overpriced at 11/2 in what I said was a competitive contest and she didn't really do anything wrong, other than maybe a bit of a scruffy jump at the last. Emma Sayer seemed to have timed the run in perfectly but was just undone by a 14/1 outsider at the death, eventually finishing second at 7/2, going down by a length. Where Martin Harley will ride Marco Botti's handicap debutant Bella Varenna in this Class 5 contest over 1m4f on the All-Weather. Whilst not ripping up any trees of late, the Botti string are doing well enough with 3 winners and 4 placers from just 13 runners in the last 5 days, whilst jockey Martin Harley has been in the thick of things of late, winning nine times from 41 rides in the last fortnight, with 21 of the 41 making the frame. The Harley/Botti partnership has performed well in handicap races in the past with a 23/99 (23.2% SR) record with all such runners priced at 10/1 or shorter. This in turn has produced 27.7pts (+28% ROI) profit and is a good starting point for the other stats I'm using to back up the selection today. Today is Bella Varenna's handicap debut after a couple of maiden outings last autumn, before reappearing at Doncaster 12 days ago off the back of a seven month break. The tactic of giving her a handicap debut on the A/W is one used by Marco Botti to good effect over the years, as since 2008 he has employed this tactic on 94 occasions, racking up a 24.5% strike rate via 23 winners at Classes 4 and 5, which have in turn, generated 39.6pts profit at an ROI of 42.1%. More recently ie since 2011, the figures are even better, suggesting that this is a strong trend that isn't relying on historical data. The actual results since 2011 read as 17 winners from 61 (27.9% SR) for 30.6pts (+50.1% ROI) profit. These are encouraging figures, but even more if we look at what has happened in the past when the money has been down for them. If we ignore the short priced runners that we wouldn't normally back and also dispense with the longshots we have, since 2008, 14 winners from 48 (29.2% SR) when sent off in the 5/2 to 11/1 range and the 59.7pts profit from these runners equates to some 124.4% of stakes invested. This will also be Bella Varenna's first outing on the All-Weather and Marco Botti has a good record when switching horses from turf to A/W for the first time, especially whilst the Turf Flat season is in progress. I have found that since 2009, his optimum time for switching them over is the March to November period and in that time frame, his record with runners priced between 6/4 and 16/1 is 12 winners from 67 runners (17.9% SR) for 18.8pts (+28.1% ROI) profit. The switch to the all-weather is always a risk, but the yard has shown it works for them, especially to give the horse a handicap debut. Both the jockey, the trainer and jockey/trainer partnership are successful and there was enough promise shown on Bella Varenna's last outing to suggest she'll be winning races soon. She was 4th at Doncaster almost a fortnight ago in what was her first effort in seven months and although she looked a little outpaced at times, she stuck to the task in hand and stayed on well enough, despite looking like she wanted/needed further. She's up in trip by another 1.5 furlongs here and I'd expect that will be more to her liking. She looks overpriced at the 13/2 BOG offered by BetVictor and I can understand if there's a case for going E/W on her, especially with the recent excellent place strike rates achieved by both jockey and trainer, but I'm not generally one for shrinking away from a longer priced selection, so it's a 1pt win bet on Bella Varenna for me and I've taken that 13/2 BOG from BetVictor, but I don't expect her to run anywhere near that price. It's rare for us to highlight a 10/1 winner on SotD and an even rarer occasion when I'm not entirely ecstatic to have done so, yet both of those events occurred on my first day back "in the chair" on Saturday. I was torn between two runners both priced at 10/1 for my daily selection, Cubanita had several qualifying stats to support her nomination, yet after a fortnight away in Cuba, I felt it might have looked a little bit contrived to the neutral observer. Of course, she won and my official pick Severiano ran somewhat below par (sorry! ), having failed to get away quick enough to take advantage of an excellent draw. Many of you backed Cubanita as well (as did I!) and recouped some of the recent losses we've endured, but the official SotD record will show another point dropped. March & April are difficult punting months, but our long-term (c.150pts in 29 months) success fills us with enough confidence to ride out the storm and get back amongst the winners. It's a Monday in the Flat Season, so it has to be Windsor, where Marco Botti's sole runner anywhere today is the handicap debutant Lockedoutaheaven. Windsor has been a happy hunting ground for Signor Botti of late and in the last two years his record here with runners priced at 8/1 or shorter reads 215116212131, that's 6 winners and 4 placers from 12 runners with a level stakes profit of 14.2pts (+118.33% ROI) to boot. 18.5pts profit is the return for E/W bets from those runners and whilst the E/W ROI is lower than the win bets, 77.1% is still a very good return on investment. Marco Botti is also one of the best trainers at finding races for his horses to win on handicap debut: he has a near 28% strike rate via 38 winners from 136 attempts and these winners have generated profits of 64.3pts or 47.3% of stakes to date. Lockedoutaheaven comes here on the back of three progressively improving performances in Wolverhampton maidens and was only narrowly beaten (SH) by an 8/13 shot last time out. His opening mark of 70 looks quite fair and his effort will be helped by a 5lb jockey claim which should make him very competitive here today. 6/1 BOG is currently available and I think there's enough juice in that price to take a safety-first E/W approach today, so I'm staking 0.5pts E/W on Lockedoutaheaven at 6/1 BOG with BetVictor for this one. Join The Navy may well have been beaten by a head yesterday, but I just have to say that I thought upcoming jockey Kieron Edgar rode a brilliant race and came so close to pulling off what looked, for most of the race, an unlikely victory. I don't know whether it was tactics or a result of the horse's reluctance to run, but our selection was well detached from the field for the best part of two miles, but these top weight stayed on strongly to such a point that he was level with the eventual winner at the last. Maybe the opposing jockey rode out a slightly better finish or maybe the other horse was just a little bit quicker, but we got a very canny ride for our money. I know a 7/2 (from 4/1 advised) runner-up doesn't put meat on the table, but I enjoyed watching it nevertheless. 91 winners from 432 runners = a 21.06% strike rate and the 88.82pts profit = 20.6% ROI. 7/31 (22.6% SR) for 11.4pts (+36.7% ROI) at Classes 1 or 2. Whilst, more recently ie since January 2012: 49 winners from 205 runners = a 23.9% strike rate and the 49.13pts profit = 23.97% ROI and Marco has just the one runner on this evening's card in the shape of the 4 yr old bay filly Magika, who will be ridden by Andrea Atzeni for this contest. Andrea also has a decent record here at Dunstall Park, winning 40 of the 281 (14.3% SR) handicap events he has competed in, returning level stakes profits of some 101.74pts (+36.2% ROI) since 2008, whilst the figures from more recent times read 12/100 since the start of 2012 for 63.5pts profit. When Messrs Botti & Atzeni team up here, they have an 18.5% strike rate (19/103) producing an ROI of 47.4% courtesy of 48.8pts profit from level stakes. They have excelled in handicap events like todays with 12 winners from 47 (25.5% SR) for 40.83pts (+86.9% ROI) profit. Since Marco Botti only has one runner here, the jockey/trainer combination can only be seen the once this evening and in Magika, there's an excellent chance of improving those figures. In her 14 starts to date, she has won four times and been placed on two other occasions. Her 28.6% win strike rate has yielded 4.12pts to date (+29.4% ROI) with three of her unplaced runs coming at odds of 20/1 or higher. Her other 11 runs have all been at under 10/1, where her 4/11 (36.4% SR) record looks very good indeed and the corresponding 7.12pts profit produces a healthy 64.7% return on stakes. She has won three of her last five starts and her record here at Wolverhampton reads 1114 (2 wins over C&D) and when Andrea Atzeni has ridden her in the past the form line looks like this: 14321. Beatu was outstanding yesterday and defied a big drift in the market to surge home and win by a good six lengths easing down! He hit the front with a couple of furlongs to and within a furlong had pu the race pretty much to bet. AP drove him on and ran the chasing favourite into the ground before easing our mount down. We'd advised a 7/2 bet and I thought that was good value. The market, however, disagreed and he drifted out to an SP of 6/1 (Betfair SP paid a massive 9.57!). Thank heavens for BOG! It's the same race I put up last week and I'm sticking with the same selection! Some of the stats (if not all!) will have changed though. Marco Botti's horses are in good form at present with 5 winners and 3 placers from 12 runners in the last fortnight, but followers of his methods will have come to expect this, as he generally does well in December. He has a 11/35 record in handicap contests in the month of December with horses that we'd consider for SotD ie odds of a minimum 7/4 and above, but with a 12/1 cap. The 31.43% strike rate has produced 60.5pts profit to level stakes, a remarkable return of 173% above stakes invested, and he's already 2 from 5 this month, including today's selection Halfsin, who was a 10/1 winner over course and distance here a fortnight ago. Halfsin was by no means Marco's first winner at Kempton this year, in fact he's had a great 2013 in handicap contests here, winning 13 of the 39 he's been represented in, a strike rate of 33.33% responsible for returning 32.7pts or 84% profit. So, we know the yard's horses go well here and that they tend to fire in December and also that Halfsin was a course and distance winner last time out, but what else do we know about this horse? He has taken quite well to the A/W surface here, having also finished third over C&D on his only other completed run at Kempton and he also has a decent record on the flat, with 4 wins and 2 places from 14. Today will be his twentieth trip to a track and he's still in that rare category of horses who have been profitable to back blindly over a reasonably large number of runs: 5.5pts at SP from 19 races = 28.95% ROI. He's up 6lbs for that latest victory, but they way he was still pulling clear at the end of a race he'd dominated from start to finish suggests he'll be able to shoulder the extra burden, but the rise has been accounted for in his 9/1 price today. If he's allowed to dictate affairs again and get another easy lead, the rest of the pack could very well struggle to get past him. He'll be aided and abetted by the in-form Martin Harley today and the jockey is absolutely flying at present. In the last fortnight alone, from the 46 horses he has ridden: 14 have been returned as winners (30.4% SR for 53pts profit at SP!) and a total of 21 have made the frame for a place strike rate of 45.7%. Martin has also won on four of his last eight rides here at Kempton, including a 2 from 3 return on his last visit six days ago.